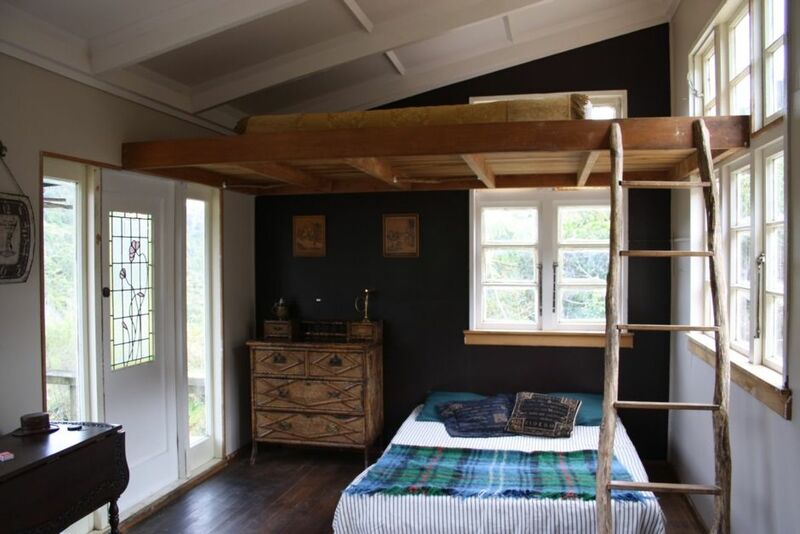 Nightingale Falls Farmstay Retreat is a unique property situated on 120 Acres of bush and pasture overlooking the Firth of Thames. From the very start of your retreat you feel the experience of adventure as you venture up to your accommodation. As you climb the hills you voyage through the farms various animals, free range,grazing and doing as they please. Shackwell offers guests an alternative to camping. Glorified camping in a bush hut close to Tararu River, families can enjoy the outdoor experience without having to rough it.......Coal range, hot water, two double beds and a loft that sleeps two. Out door bath tub and the "Tunder Box"! Shackwell has no power so please bring your flashlights! You will be made to feel at home with your hosts Scott and Karyn and their four children. We would highly recommend this venue to anyone wishing an escape from the ordinary, or maybe just a well needed break from a hectic travel schedule or city life. PLEASE CHECK OUT OUR FACE BOOK PAGE NIghtingale Falls Farm Stay Retreat! Please be advised that all guests will be meet or picked up in the shuttle at the retreat entrance and therefore please contact or email the property prior to the day of arrival or provide adequate notification and approximate arrival time in order to avoid delays. Be ready for adventure kids! We loved our experience of staying at the hut, lots of character in a secluded valley with its own private bush bath. Beautiful watering holes and walks to explore it’s a great place to relax. Awesome location if you like being in the bush. Awesome location if you like being in the bush. Very secluded. The hut is great, with an awesome deck with bath over looking the bush. Great bush hut, fantastic bush walks and swimming holes. Great bush hut, fantastic bush walks and swimming holes. Kids loved the animals, especially Coco spending the night with us! If you love nature, this is it! If you love nature, this is it! we loved it! Thank you!! Charming place set in an amazing location, perfect to escape and unwind - especially with the outdoor bath! Absolutely loved it, have been recommending to friends and look forward to making it back there sometime.